Writing for pleasure or for profit? Listen to Felice Gerwitz as she shares the tips you need if you are considering becoming a published author. Here’s what she wished she had known! 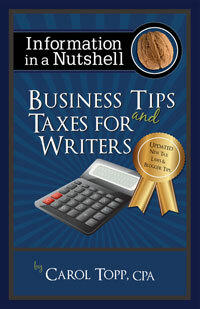 Podcast: Taxes, Record-keeping, and the Stuff You Don’t WANT to Talk About But MUST!